Prince Harry and Meghan Markle were married Saturday May 19, 2018. It’s being dubbed the #RoyalWedding of the year, and it may very well set the pace for the next decade of the Millennial movement. The couple’s incredible story of childhood hardships and struggles, coming from two totally different world narratives, raised by single parents in very different socio-economic circumstances, is in itself a fairytale romance. 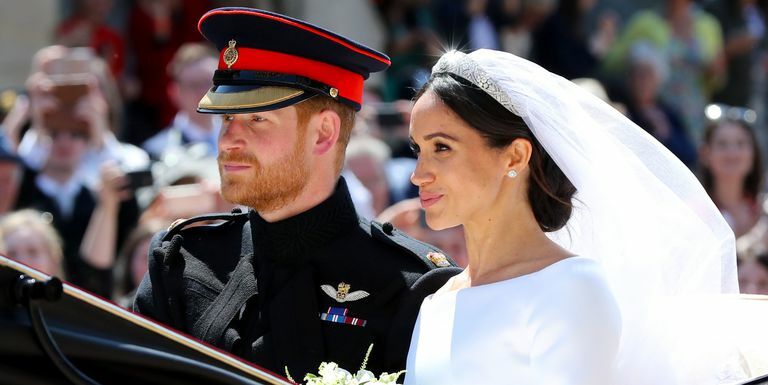 The events leading up to the Royal Wedding Day captured billions of TV viewers globally and all the watching world became engrossed in the Disney-esque moments of their castle wedding celebration with thousands of adoring fans. Nobles and commoners alike came together for the glorious moment of holy matrimony. As we all observed, the service was filled with beautiful Anglican tradition, royalty of every sort, and yet a modern sprinkling of pop and classical music, and oh-my-Lord that stirring sermon from Bishop Michael Curry! As Harry and Meghan sat near the pulpit listening ever so intently to Bishop Curry’s sermon, my mind raced with several thoughts about how Harry and Meghan had fashioned their wedding ceremony. They seemed to have planned out a worship moment that speaks to the heart of this Millennial generation. The Setting. Harry and Meghan chose St. George’s chapel at Windsor Castle. Well, probably that venue was chosen “for” them by the Crown. Still, it is telling to me that this Millennial couple chose the tradition of the chapel wedding to publicly express their vows, their union of love, and their desires for a life together. 2. The Service. Tradition meets contemporary. The music, poetry, scripture readings, sermon, and vows were a perfect blend of the traditions of the church, but without all the stoic stuffiness of dead religion. Loud cheers were heard from the crowds attending outside the chapel and in the courts of the castle grounds. Whispers, giggles, and a few outbursts of laughter were freely expressed throughout the ceremony. There was the holy. And there was the common. Both were welcome in this place. 3. The Sermon. As I mentioned earlier, Bishop Curry brought IT! His charismatic, joy-filled, sincere message of Love and Power filled the chapel hall with a resounding spirit of urgency, yet gentleness and kindness towards all mankind. Bishop Curry delivered the message of a life that Harry and Meghan have expressed the desire for: a Life of Love and Compassion for others. As I pondered these thoughts and images throughout the weekend, it occurred to me that Sunday, May 20, 2018 was Pentecost Sunday on the liturgical church calendar. Most churches around the world celebrated the coming of the Holy Spirit at Pentecost. The fire. The love. The power. The refining. The mercy. The endurance. The comfort. The Presence of God Himself. Interesting, how that all those attributes of God the Holy Spirit seemed to permeate the Royal Wedding of 2018. May God bless Harry and Meghan. May God bless the United Kingdom. May God bless America. May the whole world know The Power of Love that Harry and Meghan seem so deeply destined to share with us all.